This idea is something the people who raised us have been telling us for most of our lives. Getting good grades or a college degree isn’t the end all be all of the success projected onto us by loving parents, colleagues or family. It’s freedom to pursue what we deemed worthy of our time without being restricted by occupation, or maybe a lack thereof. To often we forget that the goal is not really the goal. Most objective goals are just a means to the and end. That end often being freedom. Freedom from an unhealthy job, a sick body, or a clustered schedule so that we can pursue the things that these may very well prevent. 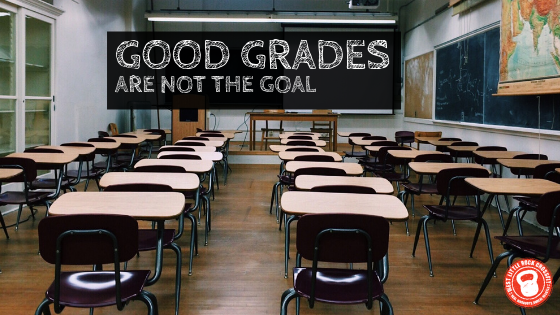 In essence, our parents didn’t want us to get good grades for the sake of good grades. They wanted us to have access to the work ethic, and freedom of choice that having good grades can bring. Learning to deadlift and practicing weight training is the means to deadlifting your bodyweight. Deadlifting your bodyweight is the means to being strong. Being strong is a means to physical freedom and independence.